Backstory: He's known as the Godfather of Rap. From his early days in Brooklyn's Marcy Projects to his business first mindset, you can say he's always been the definition of a hustler. He gave birth to all our favorite stars: Kanye West, Rihanna, and J. Cole. He might have to Roc-a-fella before he quits the rap game. 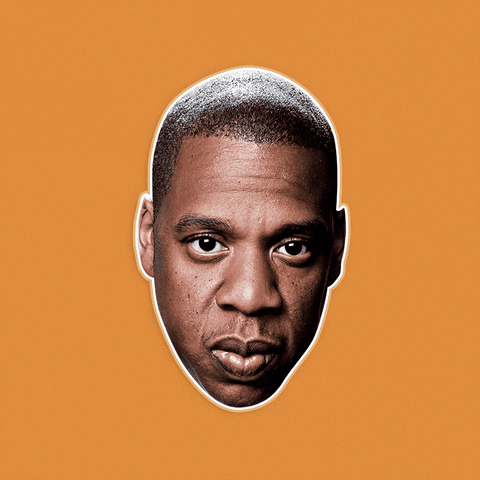 It's Brooklyn's own, Jay-Z. Let's not forget he's also married to Queen B aka Beyonce. When you're worth half a billion, you gotta be serious about your business. 🤩DON’T JUST WEAR THE CELEBRITY, BECOME THE CELEBRITY - If you got Brooklyn on your back, Beyonce as your wife, and Kanye in your texts, you gotta stay serious. Handle business at every concert, party & Halloween.